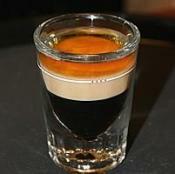 This shot is armed with three liqueurs. 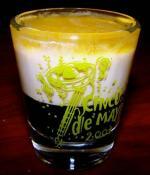 Learn how to make a B-52 cocktail. 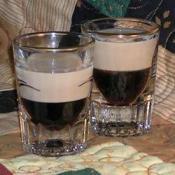 This yummy shot has the aftertaste of a chocolate chip cookie! 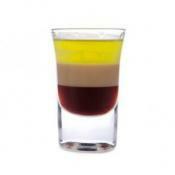 Layer ingredients into a small snifter or possibly shot glass.